CIA director warns ISIS could have more attacks "in the pipeline"
CIA Director John Brennan on Monday warned that the Islamic State in Iraq and Syria likely has more attacks "in the pipeline" beyond the Paris terrorist attacks that left at least 129 people dead and more than 350 injured last Friday. 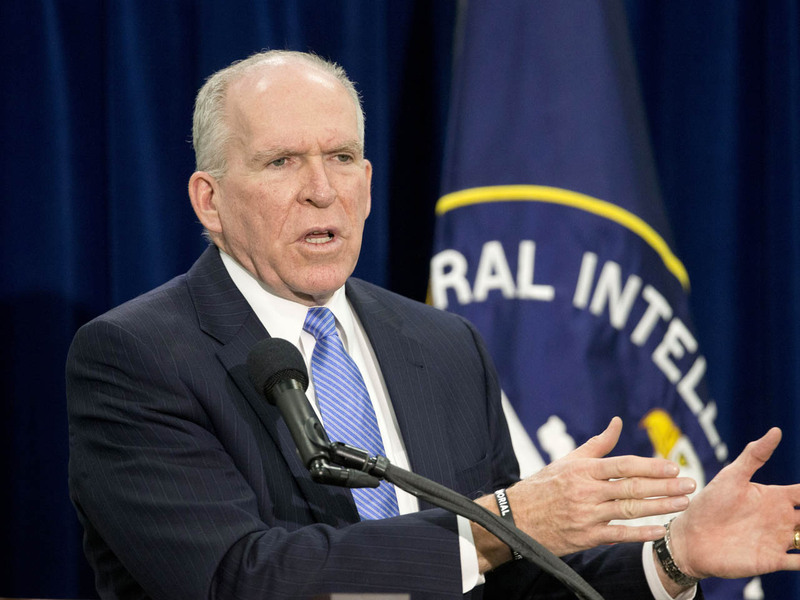 At the Center for Strategic & International Studies' Global Security Forum, Brennan said that the terrorist attacks that struck Paris were not a one-time event. "I would anticipate that this is not the only operation that ISIL has in the pipeline," he warned, using an alternate acronym for ISIS. While intelligence agencies failed to detect the planning for the attacks, Brennan said, "It's not a surprise this attack was carried out from the standpoint we did have have strategic warning. We knew that these plans, the plotting by ISIL, was underway." Europe is facing a number of challenges, Brennan explained, because they are dealing with an overwhelming number of people who are traveling back and forth between Europe and the Middle East. "Their ability to monitor and surveil these individuals is under strain," said Brennan, who then appeared to allude to disclosures by people like Edward Snowden that have changed the way intelligence is collected. "In the past several years, because of the number of unauthorized disclosures and a lot of hand-wringing over the government's role in the effort to try to uncover these terrorists," he said, "There have been policy and other legal changes that make our ability to collectively find these terrorists much more challenging." Some officials have speculated that the terrorists in Paris might have maintained their secrecy by using encrypted communications, which is difficult for intelligence agencies to access. Brennan said he hopes the attacks are a "wake-up call," and to Europe in particular. The CIA director said the international community must now commit to a greater level of cooperation, joint action and information-sharing. President Obama spoke about the Paris attacks Monday morning from the G20 summit in Turkey. "It will not be enough to defeat ISIS in Iraq and Syria alone," Mr. Obama said. At another press conference in Washington, Attorney General Loretta Lynch said that the FBI and Department of Justice are working with French officials to ensure that those responsible for the attacks are brought to justice. Lynch declined to comment on any new actions that the U.S. might take to prevent future attacks. Lynch and other DOJ officials all say that they cannot confirm at this point whether the terror suspects used encryption to "go dark." She said the department has already been in touch with the tech industry so that the government has more access to information. Their comments on the Paris attacks come as authorities conducted more than 150 raids across France and Belgium overnight and on Monday morning. French reports also revealed that the mastermind behind the operation that left hundreds dead and injured on Friday was Abdelhamid Abaaoud, who is a Belgian citizen of Moroccan descent who had gone to fight in Syria. Police have an international arrest warrant for a Salah Abdeslam, also connected with the attacks, who's on the run. CBS News' Paul Reid contributed to this story.